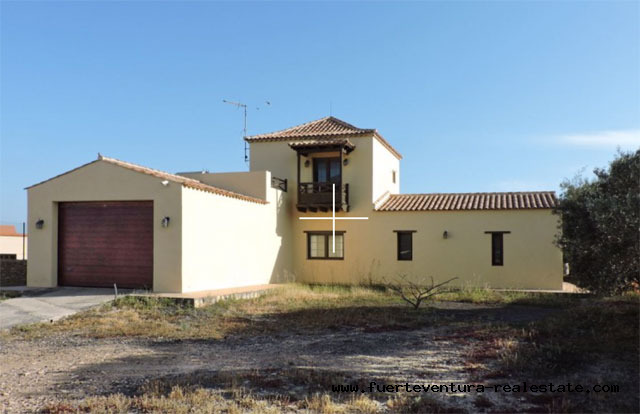 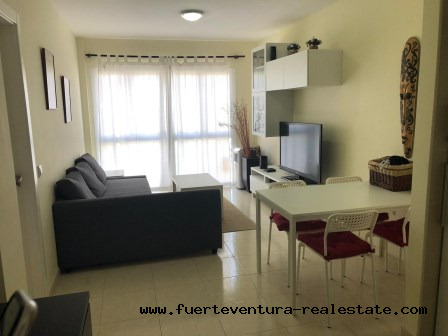 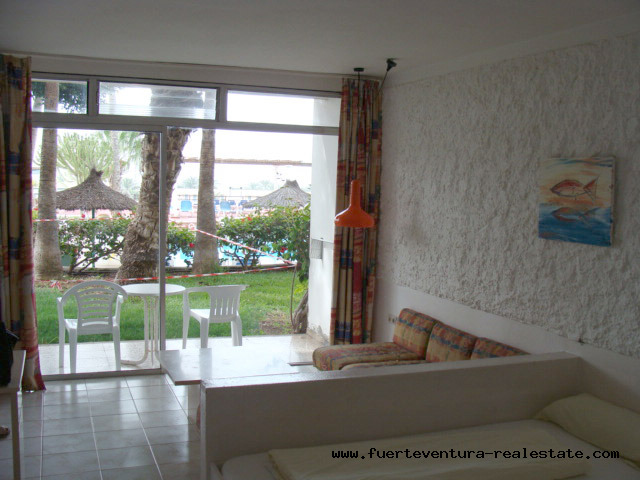 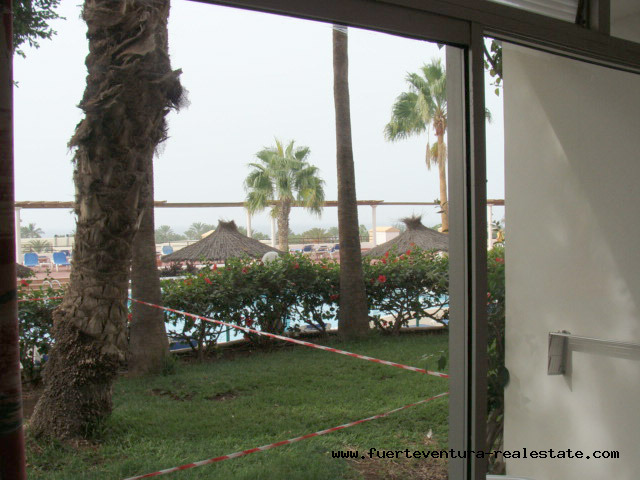 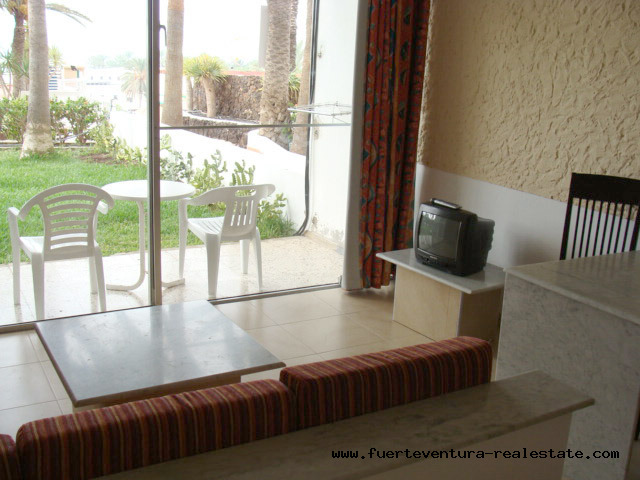 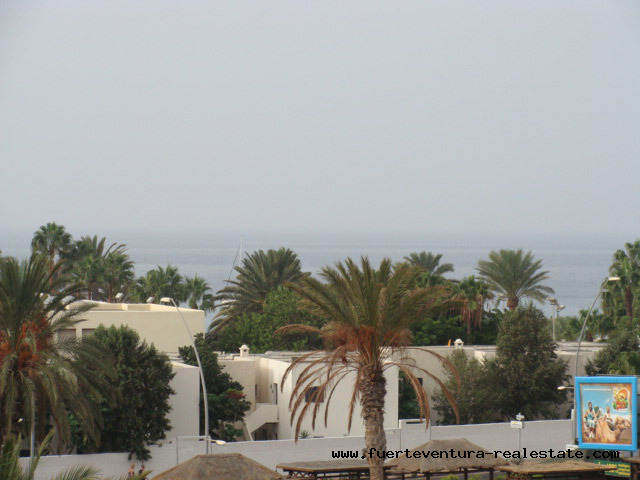 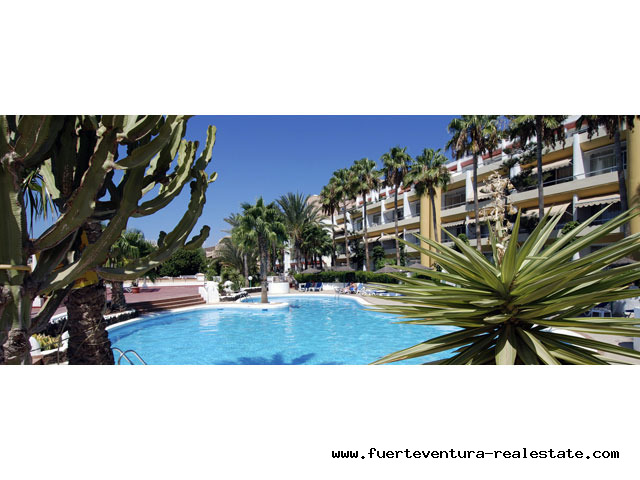 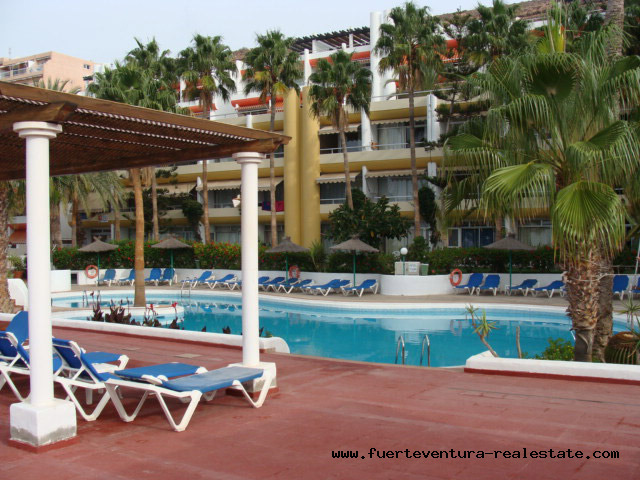 The Apartments are located in the south of the island of Fuerteventura. 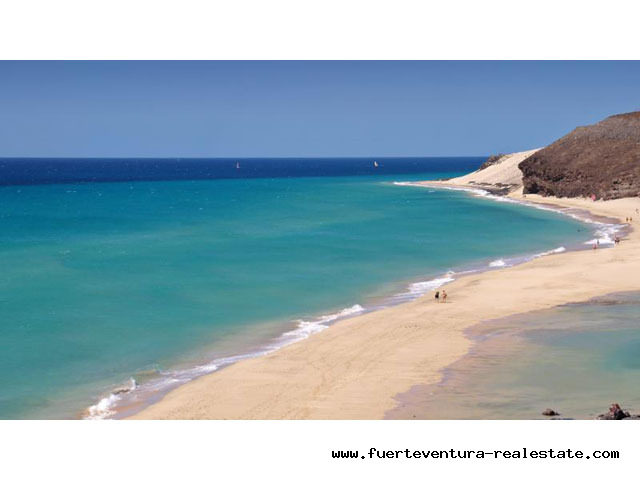 They are about 200 meters from the Playa de Jandía and about 800 meters from the town of Morro Jable. 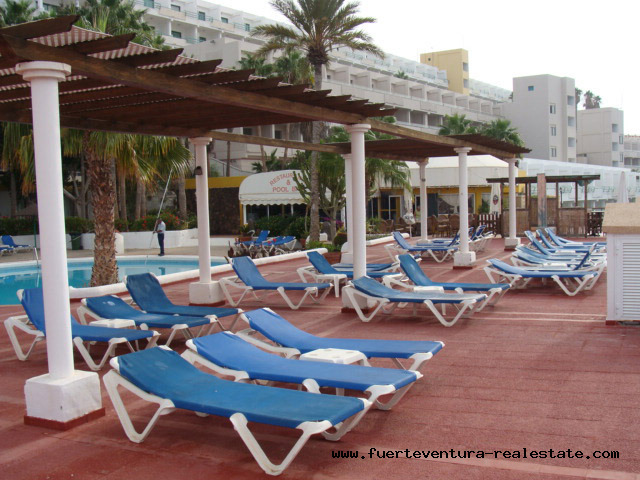 Nearby is a large shopping center with shops, bars, restaurants and various entertainment venues. 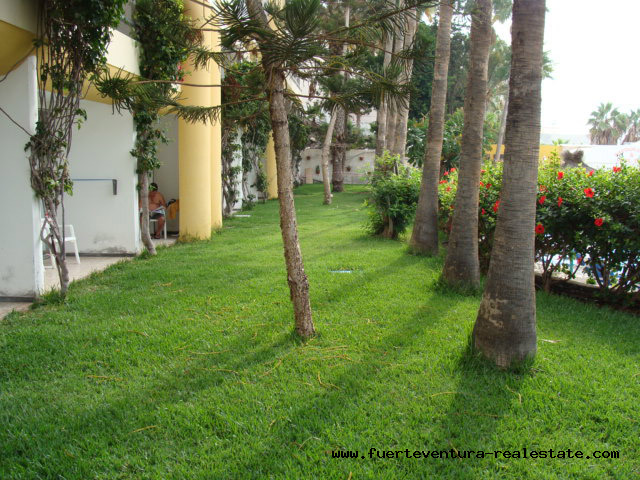 The building consists of 3 floors and is equipped with a restaurant, a large terrace for sunbathing, a large swimming pool and a separate pool for children. 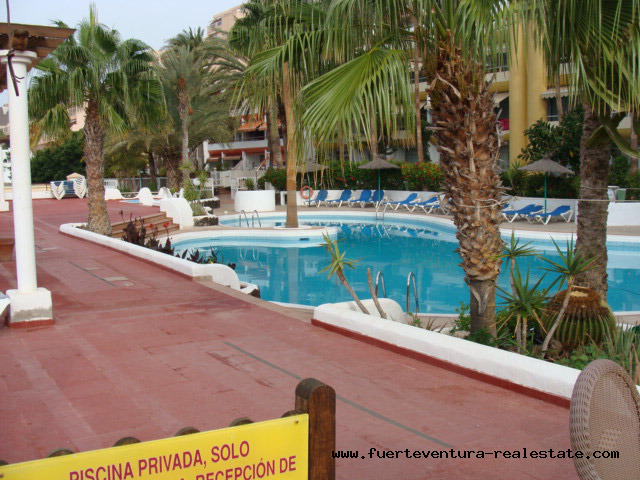 The restaurant with pool bar offers half board or à la carte menu. 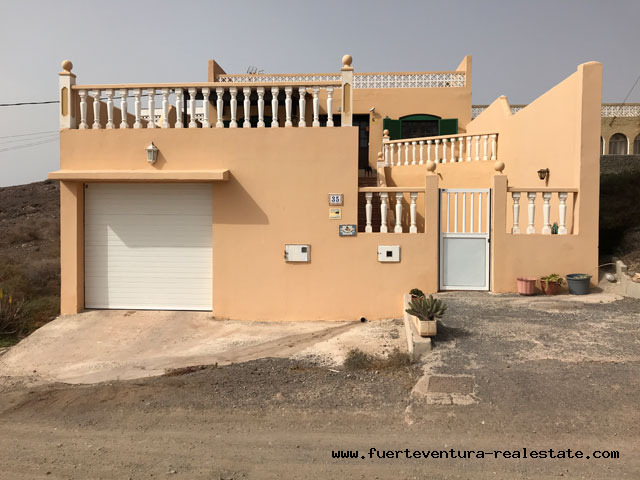 Each of the 42 studios with balcony or terrace overlooks the sea and comes with a lounge-bedroom, an equipped kitchen and a bathroom with shower.